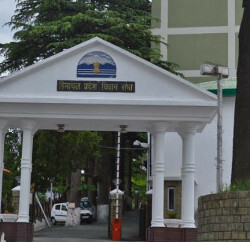 Shimla: The Budget Sessions of the Himachal Pradesh assembly begins today. The fifth session of the thirteenth Himachal Pradesh Vidhan Sabha was started with Governor Address and followed by obituary references. 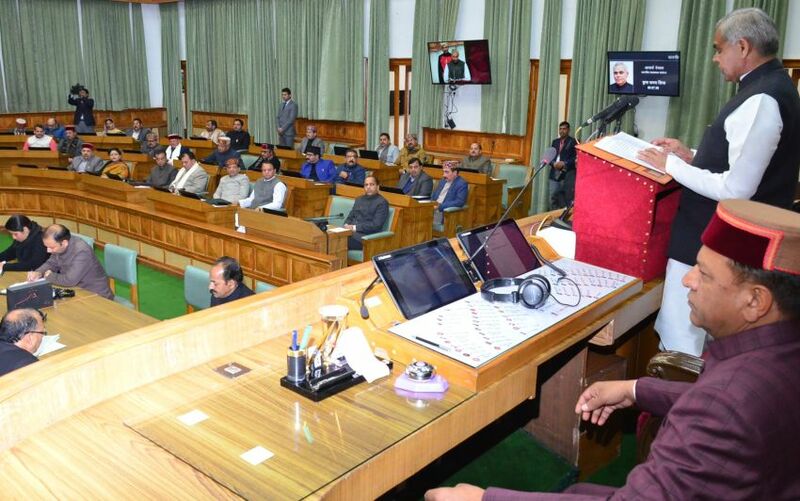 Governor, in his address, stated the government has worked in a planned manner, and grievances were redressed effectively by visiting each and every assembly constituency of the State and directly interacting with the people. Under MGNREGS 15,873 land development related works have been carried, and 10,000 tanks having a water storage capacity of 8 crore litres have been constructed, Governor said. Acharya Devrat also hailed ‘Jan Manch’ programe of the government in his address and claimed of redressing public grievances. Till January, 2019, 96 Jan Manch programmes have been organised in 63 Assembly Constituencies in which 24,424 demands and complaints were redressed. The state government has transferred Rs. 3,175 crore to beneficiaries of 56 schemes through Aadhar enabled Bank Accounts under ‘Direct Benefit Transfer Scheme’. And to stop the drug menace, the state government has launched a campaign under which 1,342 cases were registered under Narcotic Drugs and Psychotropic Substances Act in which 1,724 people including 10 foreigners have been arrested during this year, the governor revealed in his address. Speaking at the construction of the road, the state has got Rs. 385 crore under ‘Pradhan Mantri Gram Sadak Yojna’ till March, 2018 for construction of 120 roads and 4 bridges and Rs. 843 crore till December, 2018 for construction of 219 roads and 9 bridges from the Union government. Apart from this, the State Government has sanctioned Rs. 3,676 crore for 1,359 MLA priorities to expedite the construction of roads and bridges. 948 projects have been completed till November, 2018, the governor added. The state government has also forwarded an estimate of Rs. 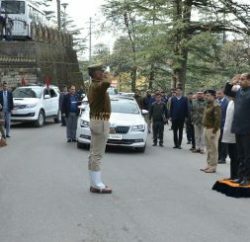 3,000 crore to the Government of India for financial assistance from the World Bank for double lane up-gradation of National Highway 70 (New National Highway-3) from Hamirpur to Mandi having a length of 124 Kilometres and National Highway 72-B (New National Highway 707) from Paonta Sahib to Gumma having a length of 97 Kilometres. The discussion on the governor’s address will be held from tomorrow till Thursday. 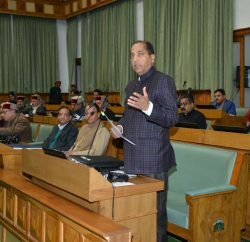 Speaker said the Jai Ram Thakur government will present its budget for 2019-20 on Saturday.